If you are as frustrated as anything because you’ve gone on almost every sales training course imaginable and you’re still not converting your prospects to a sale, listen up. Jacques de Villiers may just have the answer for your selling woes. South Africa’s a bit gentler – we tend to close 3 out of 10 prospects. So, we have some bright spots to work with. I don’t know about you, but I’d like to close 100% of sales meetings. But that’s like finding the Holy Grail, isn’t it? So, for me, closing 50% of my sales calls would be a big number for me. 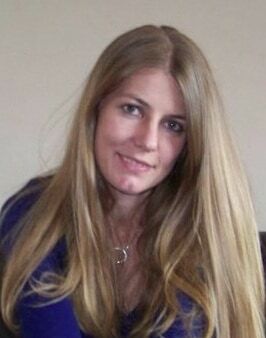 Of course, the sweet spot would be to master both qualifying and persuading – then you’d be cooking. The Neuroscience of Selling half-day sales training workshop lies firmly in camp 2 – becoming a more effective influencer and persuader. I read Influence: The Psychology of Persuasion, Robert B. Cialdini, PH.D in 1998 and was hooked on discovering how to influence people to buy. To that end, I went on a year-long study sabbatical and read everything I could get my hands on relating to sales, marketing, copywriting, persuasion and influence. Out of this, the How to Persuade Anybody to do Almost Anything workshop was born. More than 1 000 delegates attended that workshop. Neuroscience has gotten popular appeal over the last five years (or has become more accessible). 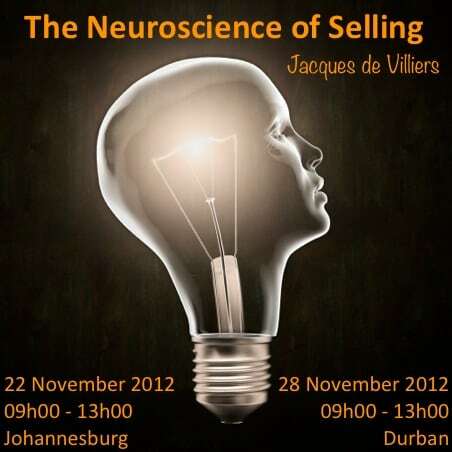 I once again went on a study journey and the resultant workshop,The Neuroscience of Selling was born. On this sales and influence training workshop, I will share my research findings and how to apply them in the real sales world with you. If the workshop doesn’t meet your expectations and give you at least 3 strategies you can apply immediately, we’ll give you your full fee back. And, you get to keep the notes and R300 ‘How to Persuade Anybody to Do Almost Anything’ DVD. R597 per delegate (includes refreshments, notes and DVD valued at R300).